Mimas, a little moon of Saturn with a big crater, is the star of this movie. This movie consists of 37 individual frames taken over 20 minutes, while Cassini remained sharply pointed at the icy worldlet. 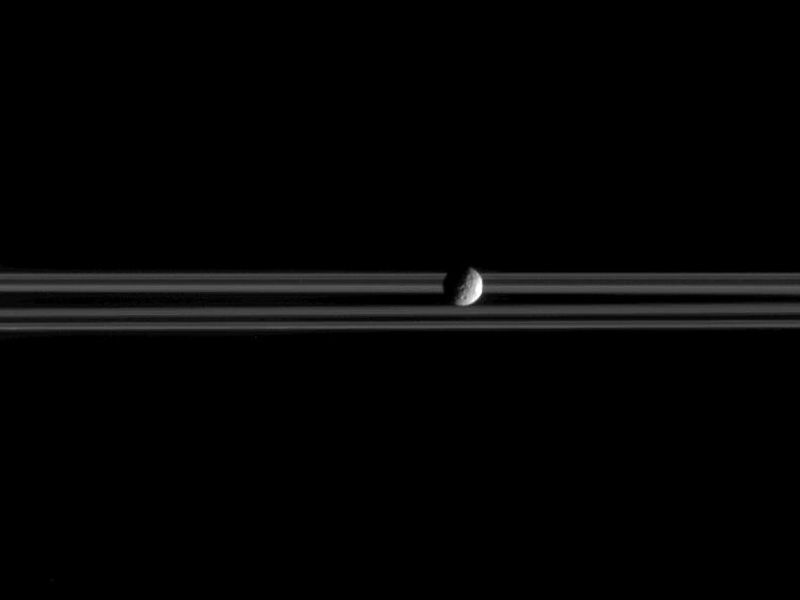 Mimas is 397 kilometers (247 miles) across. On the right-hand, or eastern, limb of the moon is the distinctive profile of the 130 kilometer-wide (80-mile) crater Herschel, for which Mimas is well-known (see PIA06582). The crater takes up a large portion of the moon's surface and makes the central part of the limb appear flattened from this viewing angle. 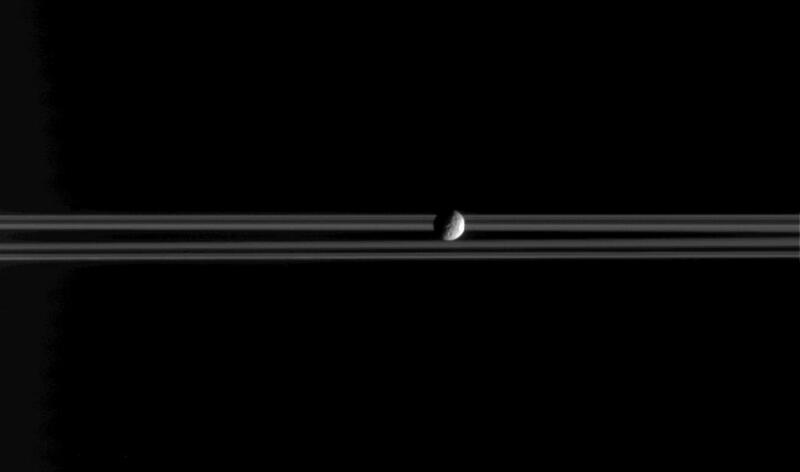 Mimas appears to rotate very slightly in this sequence of images, as the Sun-Mimas-spacecraft, or 'phase,' angle changes from 87 to 88 degrees. 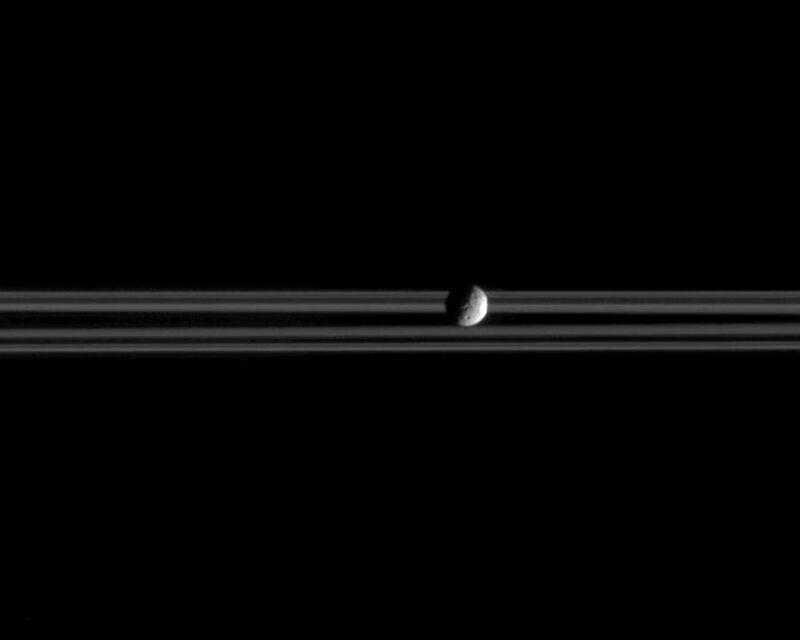 Mimas always presents the same hemisphere toward Saturn so that, like our Moon, the length of its day is the same as the period it takes to orbit its planet (approximately 22.5 hours for Mimas). 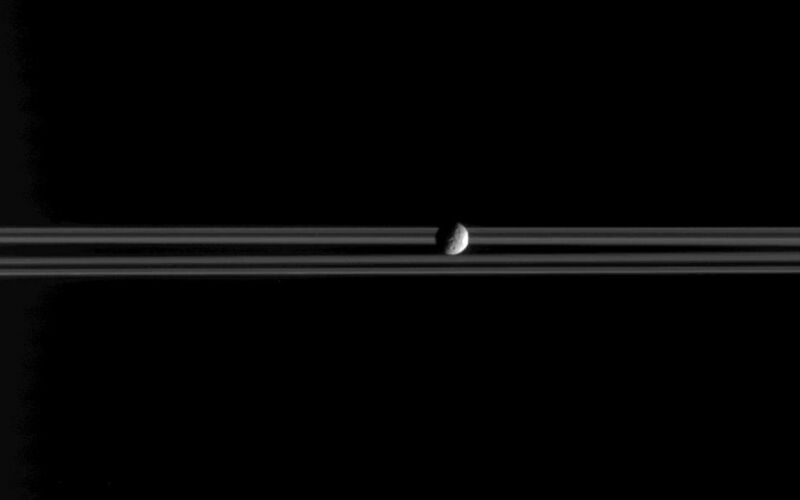 The images were taken in visible light with the Cassini spacecraft narrow-angle camera on Feb. 20, 2005, at a distance of approximately 1.7 million kilometers (1.1 million miles) from Mimas. The image scale is approximately 10 kilometers (6 miles) per pixel.